Secondary Inscription: Inscribed first original flyleaf, recto, in pencil, "Tho. Libby (? )/14 miniatures"; verso, in ink, "23.1.20". Inscribed fols. 173v-187, added prayers in French and Latin, fifteenth-sixteenth centuries, and sixteenth-century notes concerning births and deaths of members of the Poussin and Ducrocq families. "Acquisitions/1986." The J. Paul Getty Museum Journal 15 (1987), p. 168, no. 27, ill.
Randall, Lilian M. C., Christopher Clarkson, and Jeanne Krochalis. 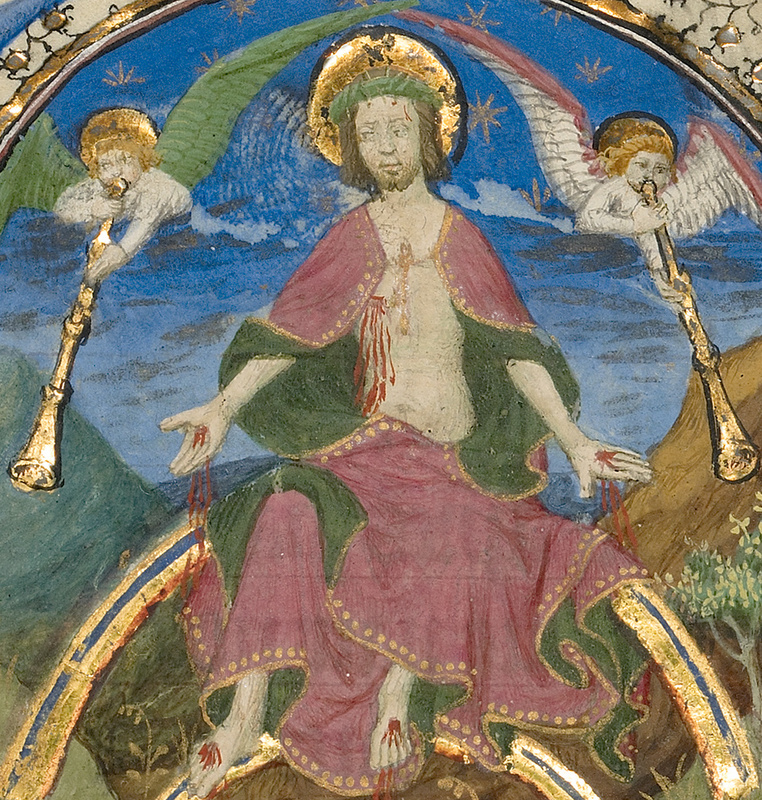 Medieval and Renaissance Manuscripts in the Walters Art Gallery. Vol. 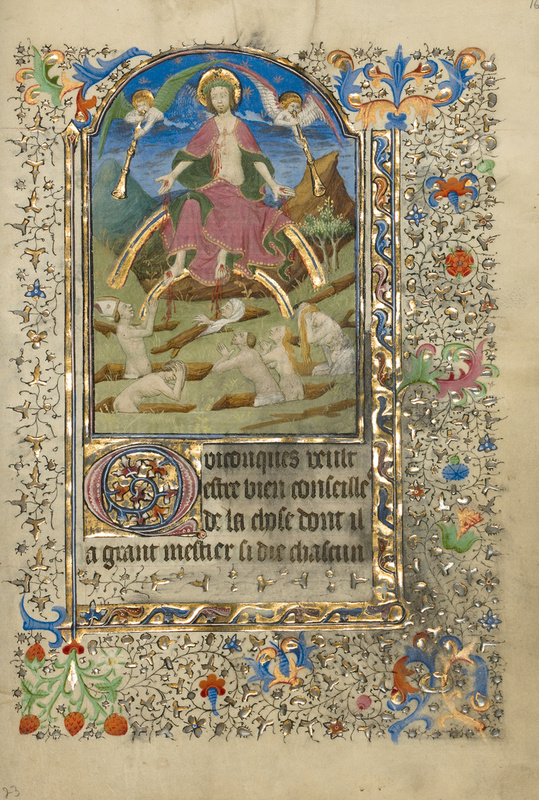 2, France, 1420-1540 (Baltimore: The Johns Hopkins University Press in association with the Walters Art Gallery, 1992), pt. 1, p. 16, under no. 103. Kren, Thomas. French Illuminated Manuscripts in the J. Paul Getty Museum (Los Angeles: J. Paul Getty Museum, 2007), p. 76, ill.
Clark, Gregory T. Art in a Time of War (Toronto: Pontifical Institute of Medieval Studies, 2016), pp. 6, no. 5, 377, 381. Clark, Gregory T. Art in a Time of War: The Master of Morgan 453 and Manuscript Illumination in Paris during the English Occupation (Toronto: Pontifical Institute of Medieval Studies, 2016), pp. 6, 289, ill. 5.